As its name suggests, the cordiform projection resembling a heart invites spectators to behold the entirety of the globe on a flat plane. 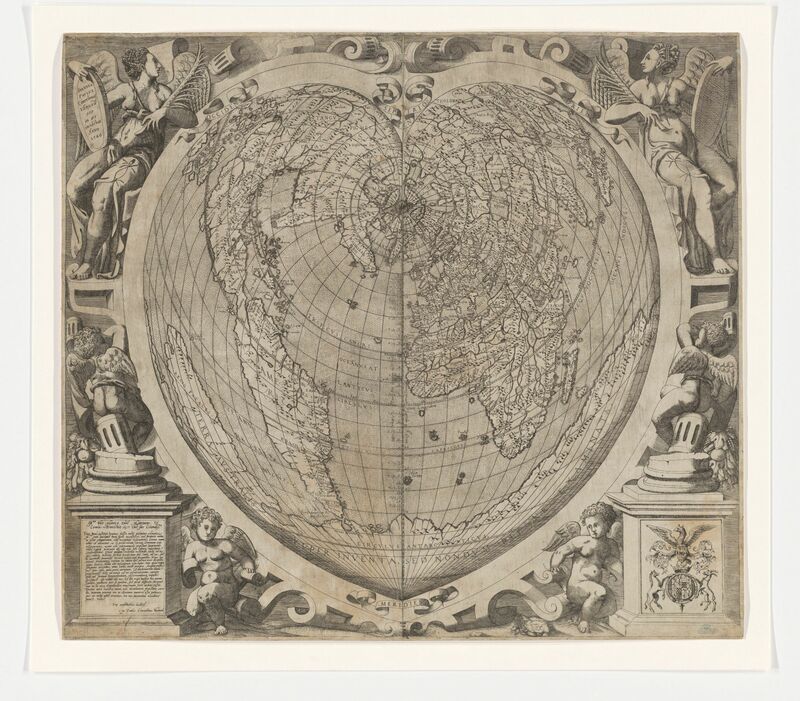 Perhaps inspired by the writings of Saint Paul, the cartographer’s choice of the heart implies a force of generosity and charity in its depiction of the world in 1534. The model for this (proof) copy was Oronce Fine’s great map of 1534, a woodcut whose toponyms required the map maker to set metal type into the wood block. 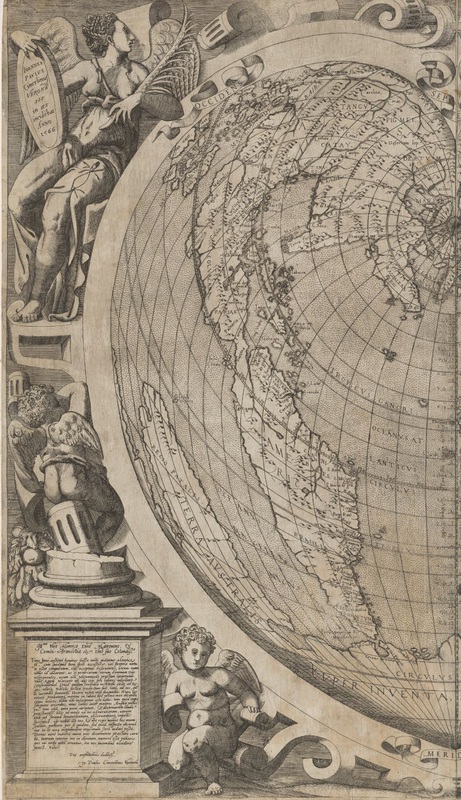 By engraving both map and textual matter on copperplate Cimerlino avoided the clumsy aspect of rectilinear writing tipped into a curvilinear plane, enabling him to “bend” the letters in proportion with the globe’s rotundity.